A virtual Earth-like planet (green) is added to the actual Solar System. 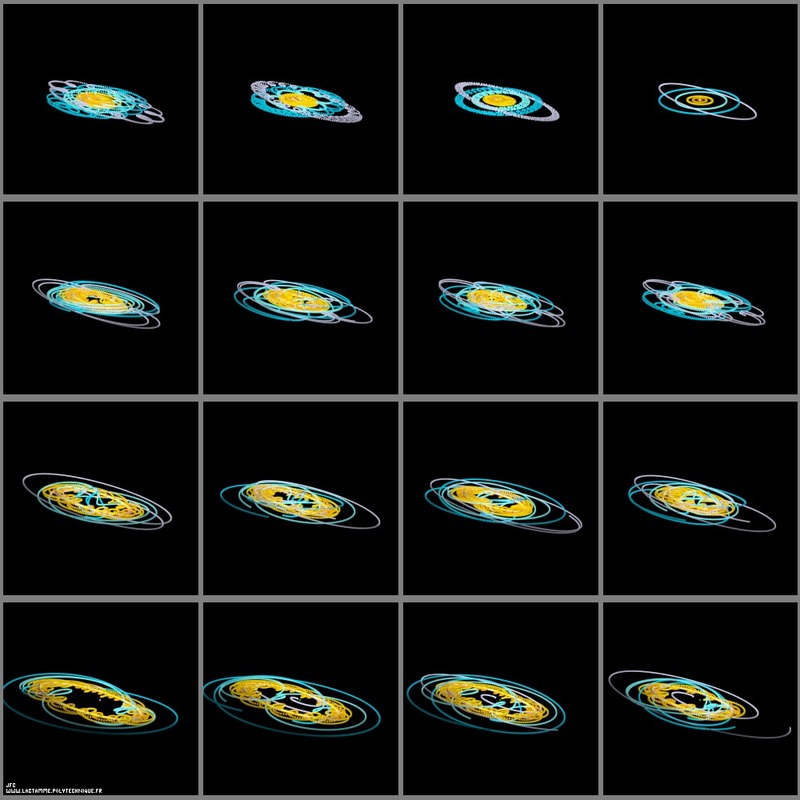 Each frame of this animation displays a particular trajectory of this planet when moved from Pluto -bottom left- to the Sun -top right- (see figure "The journey of an Earth-like planet (green) from Pluto (grey) to the Sun (yellow)"). Each of these trajectories has a duration equals to one plutonian year and belongs to the plane of Pluto. For each of these intermediate trajectories, the 11-body system is visualized with the virtual planet at the origin of coordinates.